Here you can find all info about Industrial Plant Autoflowering CBD from Dinafem. If you are searching for information about Industrial Plant Autoflowering CBD from Dinafem, check out our Basic Infos, Awards, Shop-Finder and Price Comparison or Lineage / Genealogy for this cannabis variety here at this page and follow the links to get even more information - or list all Industrial Plant Strains (±2) to find a different version. If you have any personal experiences with growing or consuming this cannabis variety, please use the upload links to add them to the database! 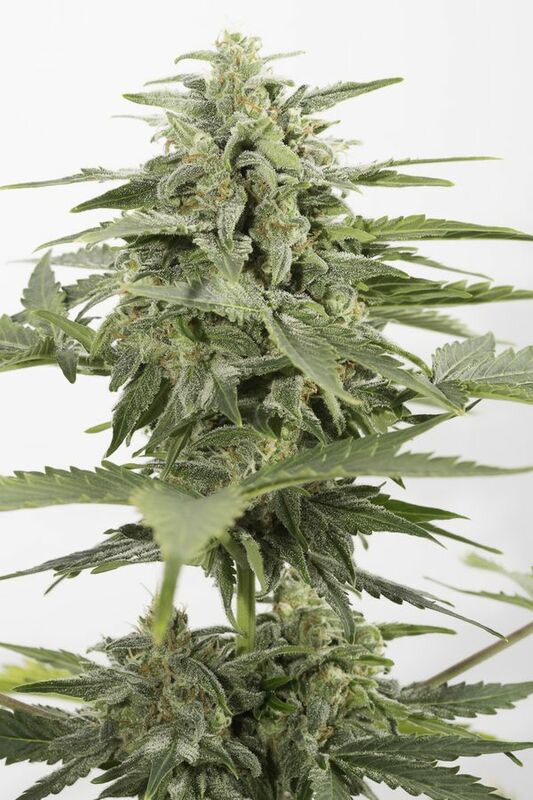 Industrial Plant Autoflowering CBD is an automatic flowering ruderalis/indica variety from Dinafem and can be cultivated indoors and outdoors where the female, autoflowering plants need ±70 days from the seedling to the harvest. Dinafems Industrial Plant Autoflowering CBD is/was only available as feminized seeds. Industrial Plant Autoflowering CBD is a high-yielding feminised autoflowering cannabis seed with all the healing properties of CBD. The result of crossing an Industrial Plant and a CBD-rich strain could not be other than a wonderfully balanced easy-to-grow auto that is a joy to behold. Industrial Plant Autoflowering CBD is a real gift for those users who have difficulty finding less-potent genetics with therapeutic properties. This stable strain, suited to all types of climate, produces high-quality crops in exchange for a standard diet and a bit of attention. All in all, a fast-flowering top-notch seed with a moderate effect and an incredible therapeutic potential. Where to buy Industrial Plant Autoflowering CBD cannabis seeds? Industrial Plant Autoflowering CBD from Dinafem is available only as feminized seeds. Regular seeds are not available at the moment. 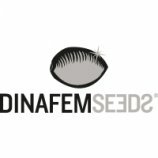 In 14 seedbanks, we found 51 offers between USD 9.44 for 1 feminized seed and USD 500.03 for 50 feminized seeds. If you are looking to buy Industrial Plant Autoflowering CBD Cannabis Seeds from Dinafem somewhere - have a look to our Industrial Plant Autoflowering CBD Price Comparison page with all current offers from all the connected seedbanks and shops - or visit one of the following tested, trustworthy and recommended seed-shops directly to check out their current Industrial Plant Autoflowering CBD offers: Dinafem, Cannapot Hanfshop, Discreet Seeds, Samenwahl.com, PEV Seeds Bank, Canna-Seed Seed Shop, Oaseeds, Seeds24.at, Zamnesia, canna-seed.com, Alchimia Grow Shop, Linda Seeds | Linda Semilla, Cheeba Beans and Herbies Head Shop. Dinafems Industrial Plant Autoflowering CBD is a cupwinning variety and won the 2nd Place at the Highlife Cup 2016 in the category Automatics, submitted by Dinafem! Click to show all parents of Industrial Plant Autoflowering CBD in our dynamic family tree map. Do you know something more about Dinafems Industrial Plant Autoflowering CBD? Please help to make this database better and upload/connect your information here! Pictures speak louder than words! Upload your "Industrial Plant Autoflowering CBD" Photos here and help other growers to get a better impression of this variety. You have grown Industrial Plant Autoflowering CBD together with another variety? Please fill out our Strain VS. Strain direct comparisation form! Our strain reviews are multilingual, searchable and can be very detailed - including data about the grow, aroma, effects and taste! Please upload your Industrial Plant Autoflowering CBD Review here to help the other seedfinder users! You have experience with the medical qualities of Industrial Plant Autoflowering CBD? Sharing your information here maybe can help other people! You've stumbled upon a Industrial Plant Autoflowering CBD related thread into a forum or growers community? Connect it here and enable othe users to find this information fast and easy! You found a related video with additional information or grow-infos about Industrial Plant Autoflowering CBD on YouTube? Please connect it here to the strain info page!